The Saints released Vereen (undisclosed) from injured reserve with an injury settlement Thursday, per the NFL's transaction log. Analysis: The reason for Vereen's placement on IR on Aug. 31 was never revealed, but the running back will recover away from the team for an unknown amount of time. Once the terms of the settlement are up, he'll be eligible to re-sign with the Saints. Before then, though, he can join another organization. 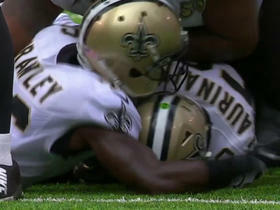 The Saints will place Vereen on injured reserve, Nick Underhill of The New Orleans Advocate reports. Analysis: Vereen's roster status was already precarious, and he now appears to be dealing with some kind of injury. He'll likely agree to an injury settlement, which would free him to sign with another team. Vereen caught each of his three targets for 14 yards in Friday's preseason game against Arizona. Analysis: Vereen logged 14 snaps on offense, with his first reception coming shortly before halftime. Though he hasn't generated any buzz since signing with the Saints a month ago, the 29-year-old could land on the 53-man roster if the team doesn't trust Jonathan Williams or Boston Scott to handle passing downs in the event of an Alvin Kamara injury. Williams seems to be winning the battle for the No. 2 running back job during Mark Ingram's four-game suspension. Vereen is joining the Saints, Mike Garafolo of NFL Network reports. 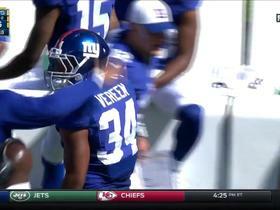 Vereen remains unsigned, NJ.com's Ryan Dunleavy reports. Analysis: Vereen should eventually find a chance to compete for a roster spot, but he's unlikely to secure much in the way of guaranteed money after averaging just 3.6 yards per carry and 5.8 yards per reception last season for the Giants. The 29-year-old passing-down specialist hasn't done much of note since 2015. 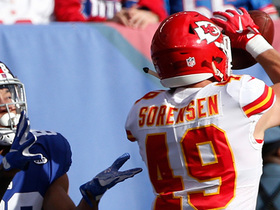 Vereen had his usual modest day Sunday with only 15 snaps and three carries for 14 yards. He failed to catch either of his two targets. Analysis: It's unclear what the future holds for Vereen as he's a free agent this offseason and turns 29 in March. Usually, third-down backs (think Danny Woodhead, Darren Sproles) age better than workhorses, so there might be some demand for Vereen's services. Wherever he lands, it can hardly be worse than the offense in which he played in 2017. Vereen had an oddly symmetrical but unproductive day with five carries for 15 yards and five catches for 15 yards against the Eagles in Sunday's 34-29 loss. Analysis: Wayne Gallman has taken over as the Giants' leading runner and pass-catching back, so Vereen is left to chip in at the margins. Vereen had six carries for 23 yards, four targets, three catches and 24 receiving yards in Sunday's 30-10 loss to the Cowboys. Analysis: Vereen is maintaining a minor role as the third-string runner and sometime third-down back. Vereen had two carries for 13 yards and caught all three of his targets for 15 yards during Sunday's 12-9 overtime win against the Chiefs. Analysis: Orleans Darkwa has firmly taken over the team's starting job, leaving Vereen to split the backup duties with Wayne Gallman and see some work on third downs. Vereen had five carries for 11 yards and four catches for 27 yards. Analysis: Vereen's role had shrunk the last few games, but he saw more snaps Sunday and got back involved as a pass catcher. As a third-down back, his ceiling is limited, especially in this offense. Vereen caught three of four targets for 14 yards Sunday against the Rams. He did not record a single carry. Analysis: That Vereen would be used so sparingly for the third straight contest despite game flow favoring the passing game does not bode well for his role in the offense. There's no reason to roster him except in leagues of oceanic depth. 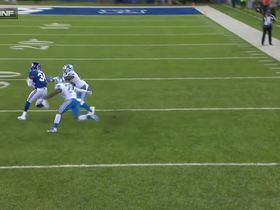 The New York Giants attempt this trick play in the red zone and it backfires with an interception. 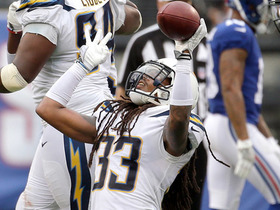 Los Angeles Chargers safety Tre Boston intercepts New York Giants quarterback Eli Manning to end the game. New York Giants running back Shane Vereen weaves downfield for a 20-yard gain. 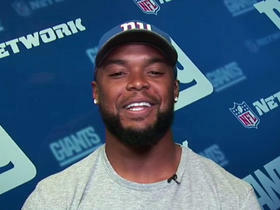 NFL Media Insider Ian Rapoport breaks the latest news on New York Giants running back Shane Vereen and his triceps injury. 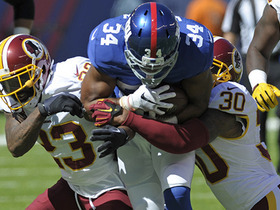 New York Giants running back Shane Vereen has the ball stripped by Will Blackmon, giving possession back to the Washington Redskins. Washington Redskins safety Su'a Cravens picks off New York Giants quarterback Eli Manning to win the game. 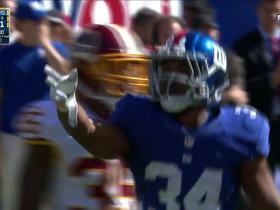 New York Giants running back Shane Vereen rushes for 25 yards into Washington Redskins territory. 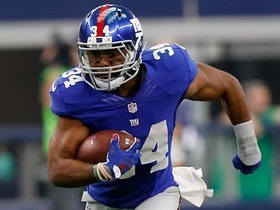 New York Giants running back Shane Vereen rushes for a 1-yard touchdown. Saints linebacker James Laurinaitis forces and recovers Giants running back Shane Vereen's fumble. 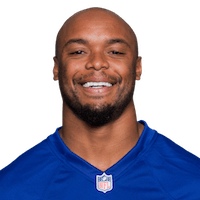 Giants running back Shane Vereen talks about the expectations for the Giants in 2016 and his second season with the Giants.